Even without occupation by beaver, the starter dams built by the tribe are helping to restore impacted streams. 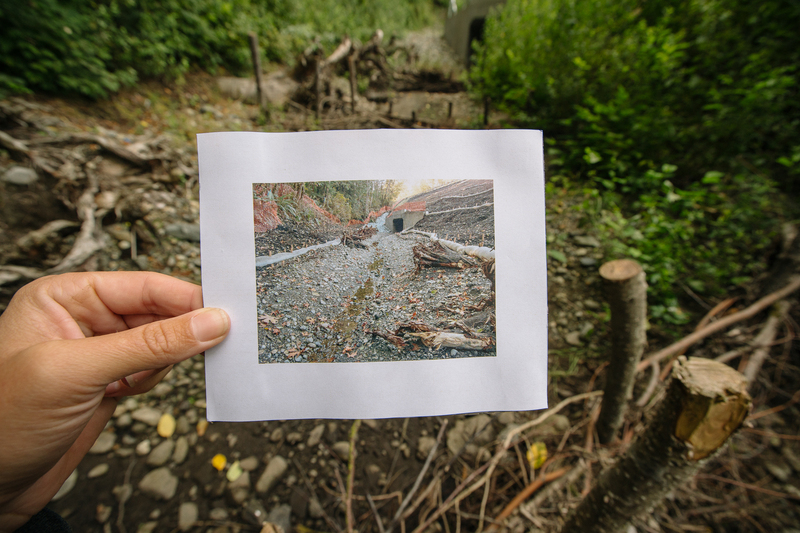 A photo of pre-restoration stream shows how far this waterway has come. Plants and sediment have started to grow and collect along the the stream. The bed did a much better job hanging on to moisture. Now they need beaver to hang out and build on what they've started.